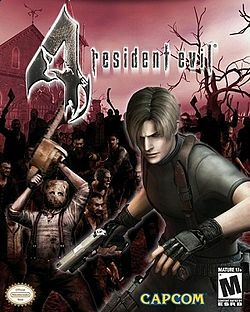 I played all the Resident Evil games, but this one was spookier and took the survival genre to a new level in a new European country (a spooky, European country). Whether its a giant humanoidish creature, spooky wormy whale creature, weird cult members or village people with scythes or chainsaws, you will have hours of fun (scary fun) running away from or trying to kill something in this game. I never wanted to think that the little Grandmotherly lady with the pitchfork would hurt me, but she did and so did the guy that hadn’t shaved for a week holding the torch, too. Tell the chained up weirdo with the long Wolverine claws ‘Hi’ for me, will ya? This entry was posted in Men are Dumb and tagged more top 10 favorite video games, Top 10 by admin. Bookmark the permalink.